2002 seems like a lifetime ago in the fast-changing world of electronic devices, media and digital entertainment. Fourteen years ago, there was no Facebook, no Twitter, no Steam, no Nintendo (3)DS, no PSP, etc. I can still vividly remember the year, though, for I turned 18 and I bought my first console with my own money - the still awesome Nintendo Gamecube. But fourteen years is a heck of a lot of time for a videogame in itself. And which games are rightly forgotten? Which games still hold up today? 'Ratchet & Clank,' perhaps? In 2002, 'Ratchet & Clank' was the first in its series for Sony’s PlayStation 2 console. The title immediately garnered critical acclaim, love letters from passionate fans, a dedicated community, merchandise, and sequels. A veritable franchise was born, all courtesy of the excellent Insomniac Games. The software juggernaut has since gone on to make further landmarks, including the 'Resistance' franchise, 'Fuse,' and 'Sunset Overdrive.' While 'Ratchet & Clank' was a mere 3D platformer with modest ambitions, the game sprawled into something more and profound. And now, there’s a reboot or a reimagining (turbo words borrowed from Hollywood). While the first game has been ported and enhanced for both the PlayStation 3 and PlayStation Vita, the eponymous 'Ratchet & Clank' has once again been fully developed by its founding father Insomniac. If I'm allowed to nitpick, I would have appreciated at least a little difference between the titles. Years from now, how will we refer to this remake? 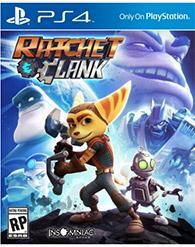 Just saying 'Ratchet & Clank (2016)' will no doubt make people believe you’re talking about the original title. It’s a 'Fast & Furious'-esque confusion. Talking about the main story, the bulk of the game, and the essence of the title may be redundant. After all, this is a remake. More important to mention, are some of the main differences. What follows, are a few spoilers of the original game. Which won’t bother anyone, I guess. The original edit of the game had no narrator. Captain Quark was not present from the get-go. This 2016 game offers a brand-new flashback framing device that's totally bodacious and awesome. As a whole, the intro is minty fresh. Whereas Ratchet was just toying away while repairing his ship in a cutscene in the 2002 game, this new cut features a less-linear and more filmic approach. All for the better. The narration is gut-burstingly hilarious and conflicting. At times, one narrator will be scolding the other. "Hey, who's telling the story here?." The meta-aspect of the proceedings is equally side-splitting: "His destination? Destiny!," "A conveniently placed crate provided our hero with a Combuster," and more. Cut scenes are straight from the movie. Literally: there’s whole scenes lifted from the movie and inserted in the game, and vice versa. That’s a first. The heavy 'Star Wars' references in the story (and in the movie) did bother me a little bit. Ratchet's "I’ll never be a ranger" Skywalker-esque struggles, Clank’s R2-D2-inspired determination ("An army is coming! I must warn them! "), the "I have information in my database" line, Clank's crashing down on a remote planet in an escape pod, Ratchet's suggestion of taking the warbot to his garage … a lot of 'A New Hope' vibes. Technically speaking, 'Ratchet & Clank' impresses. Swinging across wide and huge divides with the Swingshot is great fun. The weapon system is well-thought out, and rewarding. The worlds are varied and a pleasure to walk through. The game did suffer the occasional odd slowdown during explosions. On a PlayStation 4? Darn! The game is quite child friendly, and very forgiving. Dying does not result in instant failure, game over screens or DualShocks thrown towards the screen in a bout of rage and frustration. Dying simple means having to go back to the last checkpoint, with all experience intact. Thus, offing yourself a few times can even make you stronger in the game. 'Ratchet & Clank' is not a perfect game. It’s never the second coming of Link, or the antithesis to terminal boredom. It is, however, a very accomplished, well-written and expertly made video game. And it's not even as expensive as some more jaded and boring new titles currently on the shelves. Get yours now! The playable areas are huge and drawn-out. The background and locations are lush and gorgeous. At times, I just stood there, idle, with Ratchet to take in the scenery. Little details and touching are right on the money, for example the flying devices in the background as far as the eye can see. Even if the phrase "living cartoon" has been overused in video game critiques, I'd like to use it once more. This is a living, breathing cartoon world that never ceased to amaze me. Quite stunning. 'Ratchet & Clank' features sound design of the highest order (such mastery, such class) and pretty excellent music. There’s dubbing in various languages, including my native Dutch (which I never got to hear, because the PS4 takes the language of the default settings, which is English on my console). Still, a nice treat. In the 90's, when I was a young lad with little to no grasp of the language of Shakespeare, I had to wade and muddle through reams of text in non-Dutch video games. How the times have changed, for the better. The New Game+ offers further weapon upgrades, once you've collected a complete card set of your weapon of choice. Unlockables (alternative bolt styles, masks, concept art, etc.) are collected via card sets and gold bolts. This 'Ratchet and Clank' reboot/remake/reimaging/rewhatever is a must, even for vintage fans. The quality of the story and the writing has been amped up considerably, the levels received their own upgrade and feel fresh while retaining their old-time charm. The new cutscenes, straight from the accompanying movie, are gobsmackingly beautiful. This is a reboot done right. Recognizable, yet innovative. Well done, Insomniac! Recommended.